Nuclear safety expert Nils Bøhmer says the reactors on board the Typhoon submarine now sailing along the coast of Norway towards St. Petersburg are of 40 years old design. Russia’s two largest nuclear-powered naval vessels, battle-cruiser «Pyotr Veliky» and Typhoon-class submarine «Dmitry Donskoy» left Severomorsk on Monday and will for the next couple of days steam south along the coast of Norway before sailing into the Baltic Sea. The vessels are Tuesday afternoon outside Helgeland, south of the Arctic Circle. Norwegian military officials are observing the special voyage. «We are following the vessels like we do with all vessels. We have no reason to be concerned about the nuclear reactors on board,» says spokeswoman Major Elisabeth Eikeland with Norway’s Joint Head Quarters to the Barents Observer. This is the first time ever the giant Typhoon-class sub sails into the Baltic. 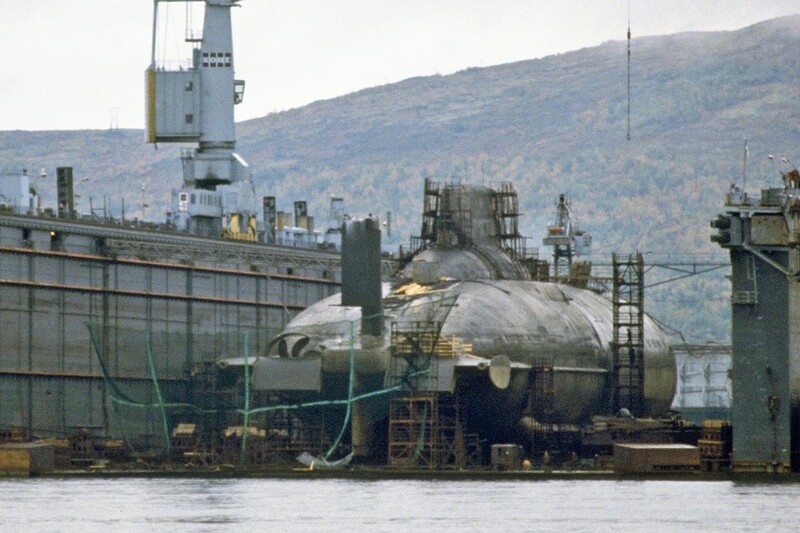 The vessel, one of six built in the class, was originally designed to form the basis of the Soviet Union’s nuclear deterrent. Hidden under the Arctic ice-cap, each of the Typhoon-class carried 200 nuclear warheads, ready to respond to any American first attack. In St. Petersburg, the Typhoon sub will be part of the celebration of the Russian Navy Day at Kronstadt on July 29th. «I’m deeply concerned about the safety on board this nuclear armageddon machine,» says nuclear physicist Nils Bøhmer with the Bellona Foundation. Bøhmer points to the two 190 MWh reactors, the largest submarine reactors ever built in Russia. «These reactors were designed in the 1970, and the two on board «Dmitry Donskoy» were commissioned in 1981,» Bøhmer tells. He is worried about the safety on the voyage towards St. Petersburg. 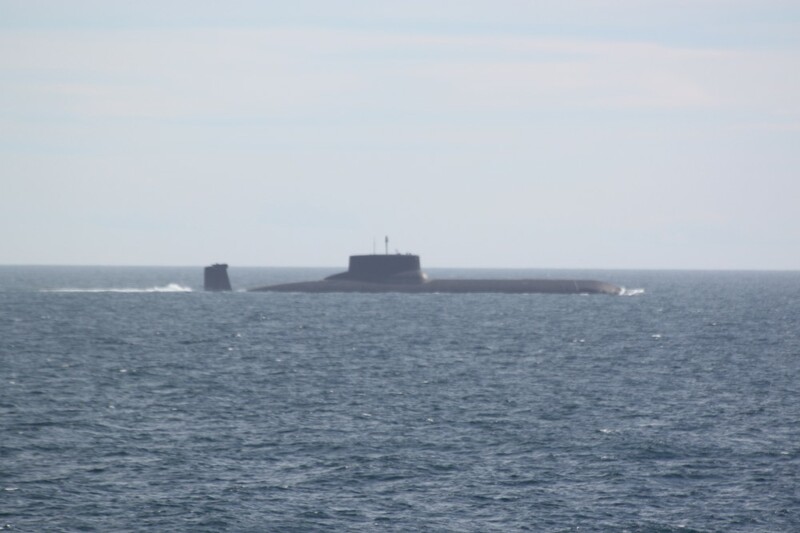 «This is the first time since the break-up of the Soviet Union that the submarine is sailing on a long-distance voyage.»Since 2002,«Dmitry Donskoy» has mainly sailed the White Sea and the eastern Barents Sea serving as a test-platform for the Bulava ballistic missile. «I’m concerned that the crew will «push» the safety limits for the reactors because this is a prestige voyage aimed at getting the submarine to St. Petersburg where Vladimir Putin will overlook the naval parade,» Nils Bøhmer says. The Russian Navy assures all safety requirements are taken into consideration. 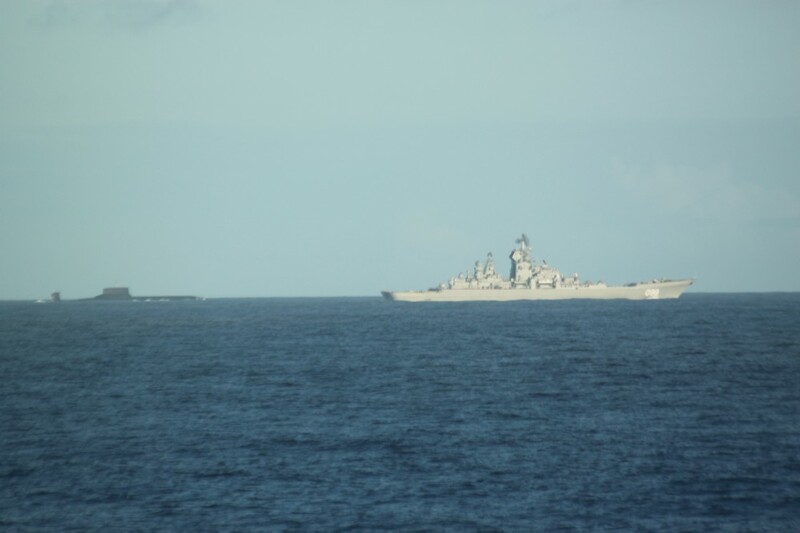 «All the requirements of safety of navigation in the Barents, Norwegian, Nord and Baltic Seas are taken into account for the transition of the largest ships of the Russian Navy,» the press service of the Northern Fleet reports. Sailing together with the Typhoon-class submarine is Russia’s only nuclear-powered surface vessel, the battle-cruiser «Pyotr Velikiy». Originally built at the Baltic Shipyard outside St. Petersburg, the warship hasn’t been in the Baltic Sea since test-sailing in late 1996. There are two reactors on board the battle-cruiser. In Norway, concerns have been raised about Russia’s towing of its first floating nuclear power plant, the «Akademik Lomonosov». The barge with the plant will next summer be towed from St. Petersburg through the Baltic Sea and north along the coast of Norway towards Murmansk.